This large Celebration Cake Jumper is great for birthday parties and anniversaries. 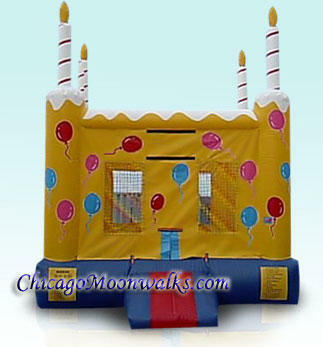 Features bright balloons and topped with candles. Great for any event! Includes Basketball Hoop. Please note area required for setup is 20' x 20'. Height requirement is 15'. Actual Size: 15'L x 15'W x 14'H.